Switzerland's 'Alpine Messi' Xherdan Shaqiri, hot from a hat-trick against Honduras in his last game, meets the real Messi on Tuesday as the Europeans seek a major World Cup upset when they face Argentina in the last 16. Shaqiri is the same height as Lionel Messi and has a similarly low centre of gravity and, while he has some way to go to match the feats of the prolific Argentina forward, the 22-year-old gives Switzerland a genuine threat up front. Argentina midfielder Javier Mascherano said his team would be keeping a close eye on him. "The (Swiss) are an orderly team who like to play good football and have top players," he told Argentina's TyC Sports TV station. "Shaqiri and (forward Haris) Seferovic are in good form and we're going to have to be very careful." Switzerland coach Ottmar Hitzfeld believes that by remaining organised his team could make their first quarter-final appearance since they hosted the finals 60 years ago. 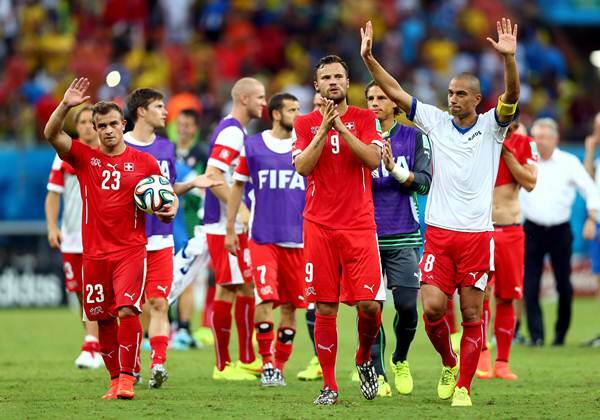 The Swiss have never beaten Argentina, drawing two games and losing four. "We are the clear outsiders but we have nothing to lose and much to gain," he told the Swiss FA website (www.football.ch). "We can make history on Tuesday. In one game, anything is possible," added the German coach, who will step down after the World Cup. 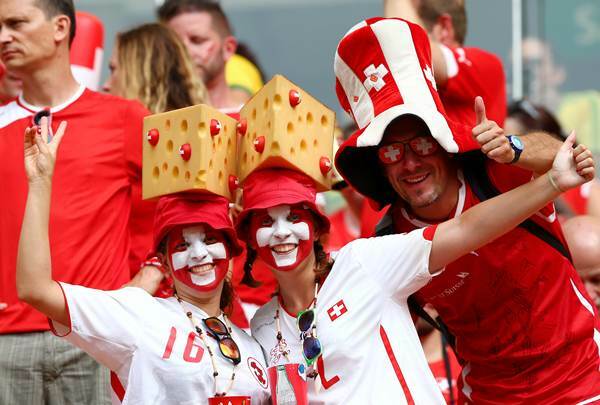 Switzerland are hoping the large Brazilian contingent expected in the crowd at the Corinthians arena in Sao Paulo will be backing them against the hosts' arch-rivals Argentina. "I think we will definitely have the support of the Brazilian fans in the stadium," goalkeeper Diego Benaglio said at the Swiss training camp in Porto Seguro. "You can feel the rivalry between Brazil and Argentina here." Benaglio said his side had the added motivation of winning for absent team mates Steve von Bergen, who was injured in the loss to France, and unused striker Mario Gavranovic, who tore his cruciate knee ligament in training on Saturday. While Argentina's defence will be hoping to shackle Shaqiri, Switzerland's back line has an arguably tougher task in shutting out an inspired Messi. The 27-year-old, whose stuttering international career before this World Cup was the only blip in an otherwise stellar career, has set about putting that right with four goals in Brazil so far. He also scored his first international hat-trick the last time Argentina and Switzerland met, in a friendly in 2012. "We are preparing just as we do for any other game. However, it's clear that it will be difficult to completely take Messi out of the game," Benaglio said. 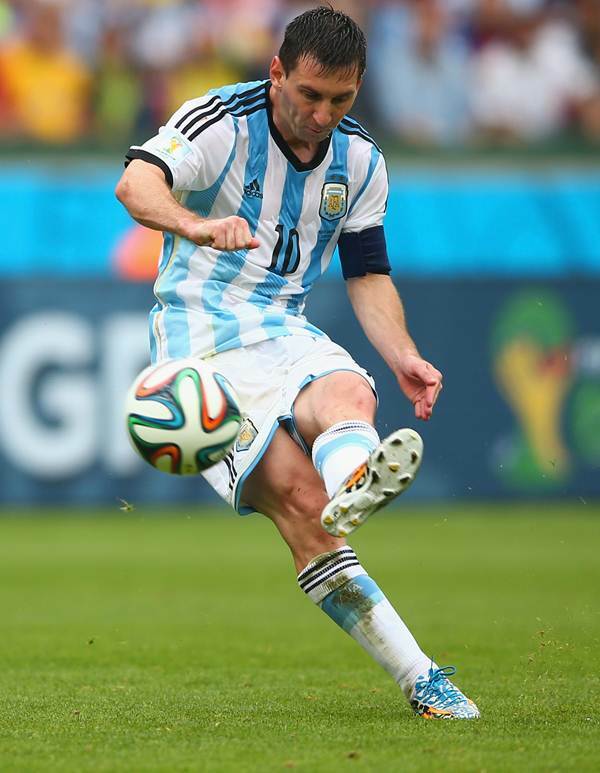 "You can see so many videos of Messi where he does something surprising at a decisive moment." Argentina have relied heavily on their number 10's talents - he has scored four of the team's six goals in three narrow wins. Far from waltzing through the groups stages, none of their victories was comfortable, and only an injury-time winner from Messi ensured three points against lowly Iran. "Everyone said we were going to win by big scores in the group stage and it's clear that it was not the case," said midfielder Maxi Rodriguez. "Our mentality is always the same, in a World Cup you have to concentrate 100 percent, if not then anyone can beat you." 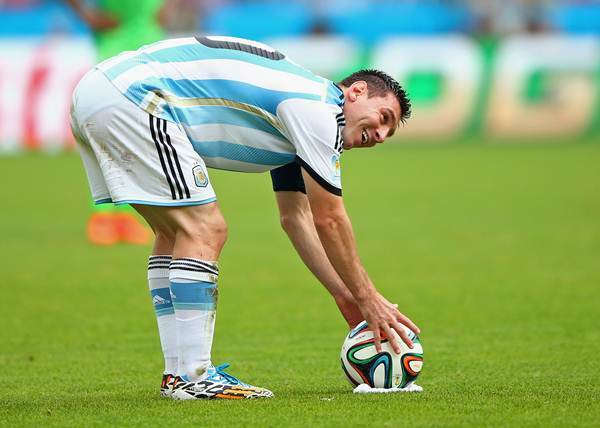 Argentina, aiming for their third World Cup title, will be without injured forward Sergio Aguero, with Ezequiel Lavezzi set to take his place in a continued three-man attack also comprising Messi and Gonzalo Higuain. World Cup: Tell us, should footballers be punished for diving?